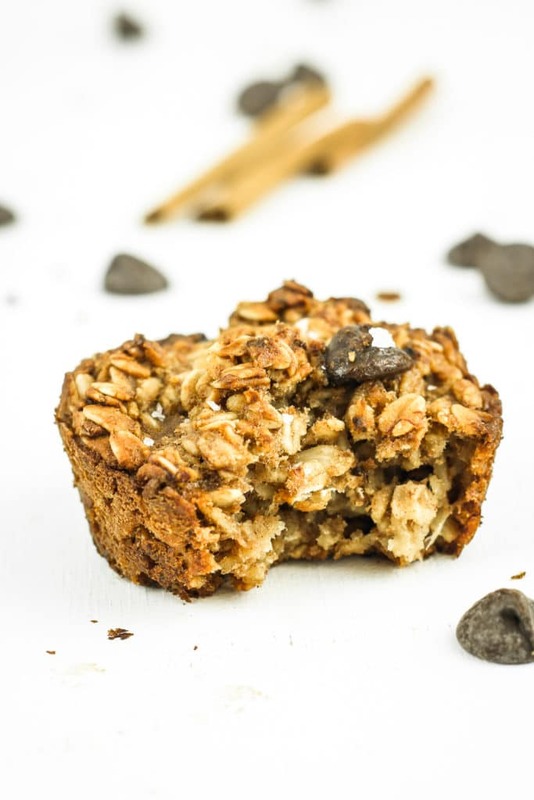 This Chai Baked Oatmeal Muffin recipe is the BEST make ahead breakfast for busy mornings. Everything comes together in one bowl for quick prep and easy cleanup. These oatmeal cups are made with wholesome ingredients to make mornings more relaxed and more nourishing. Is it that time of year already? Cinnamon and spice and Chai Baked Oatmeal Muffins and everything nice? Why yes, yes it is. As much as I love summer (which is an awful, awful lot) I also have a sincere appreciation for these first fresh days of fall. It’s a chill and cloudy 60º and the windows are open and the muffins are cooling in the kitchen, wafting outside and inside. And I’m over here living my best simple life. Unpacking my fall clothes. Buying fall goodies at Target. Burning all of the fall candles. 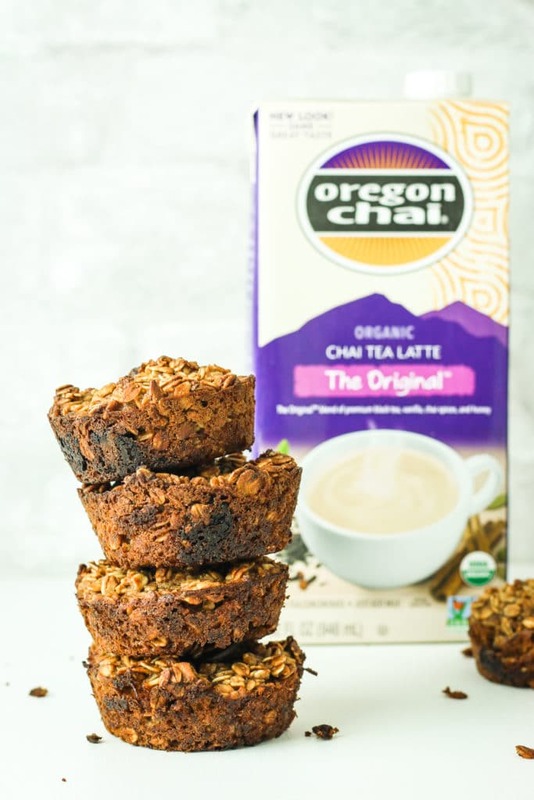 Mixing up one bowl of muffins with a handful of pantry ingredients and Oregon Chai® Tea Latte Concentrate. Cue filling the house with the smell of chai and cinnamon and oats. Fall is in full swing already! I don’t know how we’re back here again so soon. The crisp morning air, the first leaves crunching on the sidewalk, the insatiable urge to make casseroles and muffins and soup and stay under covers all day, and the holidays already lurking around the corner. Yeah, I said it. Holidays. They are coming. That time of year when everything gets craaaaazzyyyy and I never know which way is up. I always find myself getting way too stressed, short on time, and neglecting myself – so I’m taking preventative measures this year. I’m going to coast into THIS holiday season prepared with an arsenal of things to make my life more chill. Good mystery books on my Kindle. Low key bath time. Essential oils in the diffuser. A brand new journal. 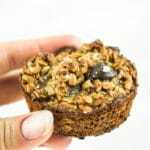 Easy meal prep recipes – enter these Chai Baked Oatmeal Cups for when we’re in a relaxing-tea-situation or in a rushing-out-the-out-the-door situation. These bad boys pair perfectly with warm lemon water and your favorite Pandora station for slow, zen mornings. I stopped drinking coffee last spring because it wasn’t sitting well with me – jitter, clamminess, and anxiety – not good. That’s how I stumbled upon Oregon Chai’s concentrate in the first place – I was shopping at Target for another morning beverage to fill the void in my life that coffee left behind. I mean… TBH… I wasn’t just shopping for a morning beverage at Target. I went in not knowing what I was shopping for because that’s just how Target works. You get me, I know you do. Little did I know that I would love chai even more than I loved coffee. 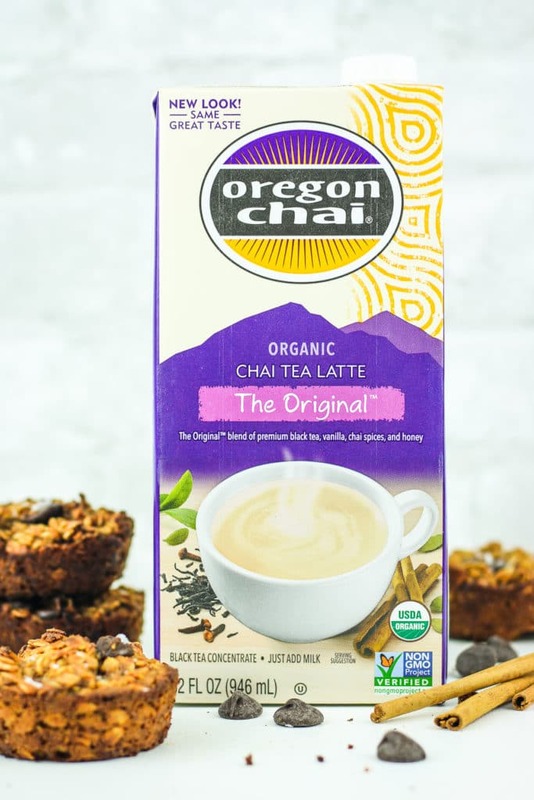 Aside from the fact that it’s smooth and delicious, I love Oregon Chai’s concentrate for several other reasons – it’s organic, it’s non-GMO project verified, and their brand is committed to sustainable, earth-friendly practices. It’s an all-around win. And guess what? There’s a Cartwheel offer going on with the Target app through November 10th, so you can make fall magic happen in your own life. Click here for details. After I realized how amazing chai was on its own, I started thinking of ways to use it in baked goods. It just makes so much sense. The subtle spices are perfect for combining with fall flavors – pumpkin, cinnamon, ginger, sweet potato, etc. That’s how these tasty little oatmeal muffins came about. I baked my new favorite beverage into my new favorite breakfast and I call that winning. 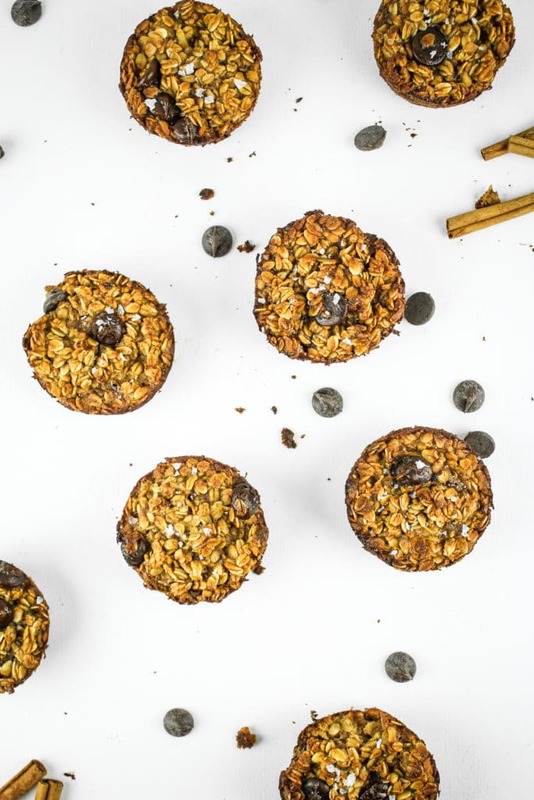 You’re gonna make these Chai Baked Oatmeal Muffins ASAP, right? I thought so. Tell me all about it – I love sharing your creations on Instagram! 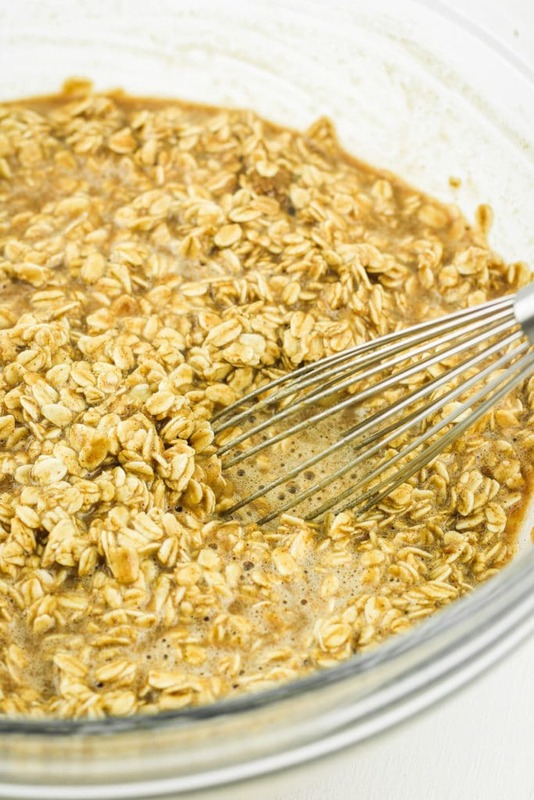 This Chai baked oatmeal cup recipe is the BEST make ahead breakfast for busy mornings. Everything comes together in one bowl for quick prep and easy cleanup. These oatmeal cups are made with wholesome ingredients to make mornings more relaxed and more nourishing. Preheat oven to 375º and lightly grease muffin tins. I like to use coconut oil for this, but other oils work fine as well. 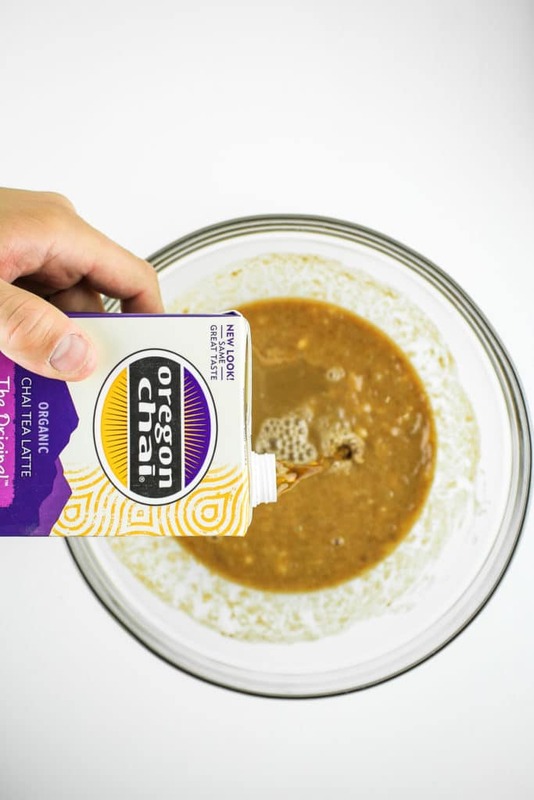 In a large bowl, whisk together Oregon Chai Tea Latte Concentrate, mashed banana, almond butter, maple syrup, and vanilla extract. Add oats, coconut sugar, cinnamon, baking powder, sea salt, and chocolate chips. Stir to combine. Fill muffin tins with 1/4 cup of the batter in each cavity. Bake 20-25 minutes until golden brown. Allow to cool and enjoy, or store in airtight containers! I love chai – I bet that flavor is incredible in these muffins! Love that crunchy topping, too! These sounds good. I really like chai flavours so it sounds like a great idea to add to oatmeal muffins. What a great idea to put chai in muffins. I always associate chai with Autumn, I think there must be cinnamon in there. Anyways, saving this, my daughter will love these. Thanks for the recipe. I’m loving chai — it’s just like I discovered it. I’m so glad to be finding recipes that use it. 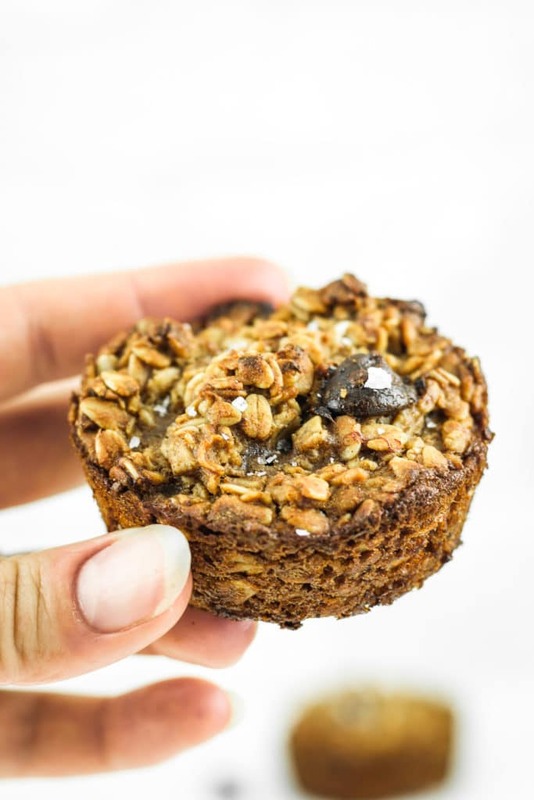 These muffins would be an ideal treat in the morning or as an afternoon snack. Great recipe! Me too! If you’re a Chai fan you will definitely love these! Muffins with oatmeal is comfort food for me. Chai flavors in oatmeal muffins is new to me but it looks so so amazing!! Adding Chai to Muffins and that too such healthy and gorgeous one’s is a great idea. These sound delicious and full of wholesome ingredients. Thanks for sharing, I will be making these soon. Good! I hope you enjoy! Healthy and quick to prepare. What do we need more for perfect breakfast or lunch box… great recipe. These look like the perfect healthy snack for the fall! I would love these for a fun brunch addition! Yes, these would be perfect for a brunch spread! I’m so excited about this recipe! Chai?? Yes, please! 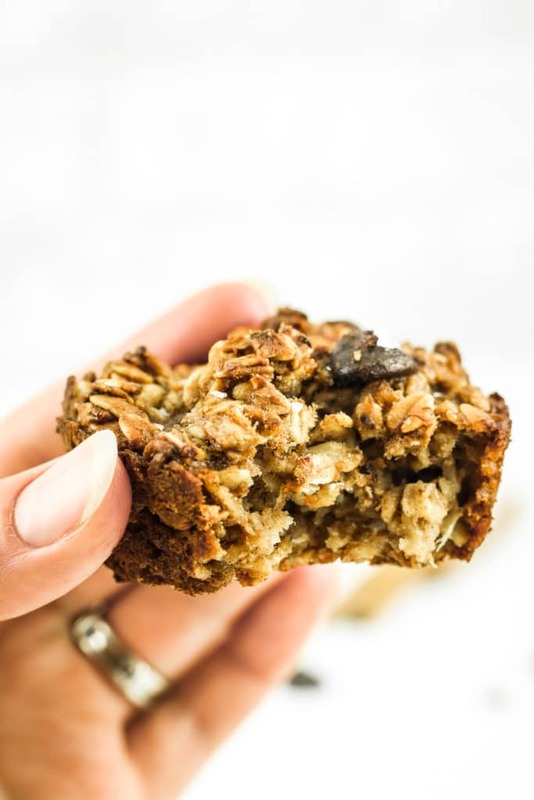 In a super-easy, stress-free, make-ahead, and HEALTHY breakfast muffin?!? Oh my goodness – sign me up! Seriously – this has everything going for it! Terrific post! Yasssssss! I am all about that stress-free life right now! Yes to all of what you said! These are the total package! Adding chai into muffins is such a creative move! I love how it looks and even more how it taste! You gotta try it! It’s such a wonderful flavor to add to baked goods.